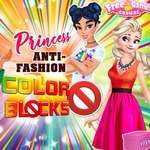 Princess Anti -fashion: Color Blocks captivates you for sure in Friv.land. Do you often follow conventional clothes mixture? We will break a few fashion principles. Does it sound exciting? 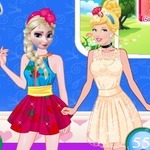 You and Disney princesses play with colors and cloth items. 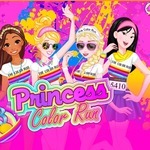 Princess Anti -fashion: Color Blocks cheers you up on friv games. 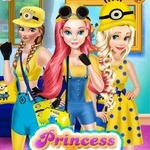 The Princess Anti -fashion: Color Blocks is a unique game for girls. You can feel free to show off the new style. You are in a class of your own. 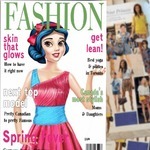 Princess Jasmine meets a fashion expert. 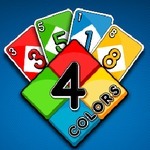 The expert says that there are colors blocking each other. For instance, red doesn’t fit orange. Blue is not suitable for yellow. 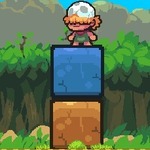 Green blocks pink. Jasmine does not think like that. 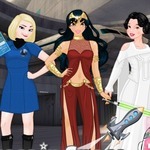 She has an awesome idea at friv online game. Princesses will match these colors. Watch them! Jasmine matches items with different colors. Let’s see what we can take from her closet. She shall combine a green skirt with a pink shirt. Mix red trousers with an orange tank top. How beautiful they are! The royal young lady proves that all colors fit one another. 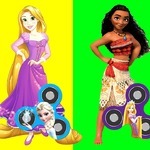 Then, Elsa and Moana are going to try the free style in friv 2018 player game. Give Elsa a helping hand. Choose wonderful clothes and accessories. The girls have a variety of dresses, high-heels, necklaces, handbags, and sunglasses. The marvelous cloth items impress you for sure. Pick the best items for Elsa. 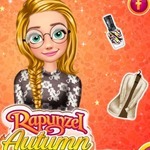 Combine clothes with accessories on friv free games. Think about which hairstyle fits her dress. You practice more and more to become a good stylist. Then it’s time for Moana to dress up. She needs to wear clothes which present her personality. The trendy outfit is suitable for that girl. Don’t let her down! 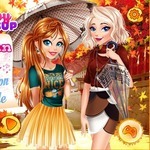 Make use of the special taste in fashion to finish all tasks. 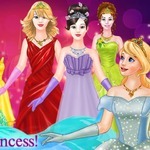 Join our website http://www.friv.land/ to play more spectacular games such as Princesses City Trip, Design A Dress For Elsa, and Blondie Flower Show. We are pleased to receive your comments. 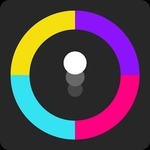 If you have a liking for our games, rate them. Good luck! Have fun!